Still, Swing Time outdoes Smith's earlier fictions. That it outdoes them is partly a matter of degree. Characters a hair's breadth—or a drop of ink—away from full human being appear in this writer's work from the beginning, to be sure, but they throng this novel. Which I find all the more moving because, in the end, this novel is not about any of its characters, not really. Don't get me wrong: this story would founder without the figures that people it, and the fellow-feeling with which it tells their stories is a pleasure in itself. Swing Time, though, is about what it means for us to embody ideas—to embody them in choreography, in change, in utero, in metastasis. It is about the ideas we swallow and the ideas we stomach, about the ideas we claim and those that claim us. And it is about this truth: to be a self (irreducible, unrepeatable) is certainly to muddy and maybe to sweeten any idea you embody. As it should be. In this book, one of those ideas is the idea of blackness. 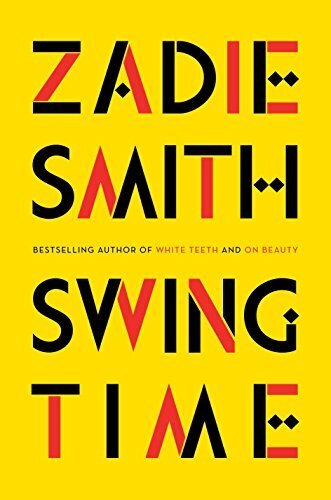 Indeed, pressed to talk about Swing Time in the run-up to its completion, Zadie Smith described it as a fable, the moral of which had to do with "the feeling of blackness." But fables do not brook complication. Fables are like the kankurang, whom the narrator of this book calls "the greatest dancer [she] ever saw." Anonymous and hidden in a mop of leaves, "of a man's height but without a man's face," the kankurang undoubtedly embodies an idea of blackness, but only an idea, and, in a matter of four pages, he comes and goes: a marvel, but that's all. Everywhere else, though, Swing Time surpasses fable, so that the violet blinking of a baby born in the Gambia embodies an idea of blackness, and the man who in some easier world might have been one of Michael Jackson's backing dancers embodies an idea of blackness. And the brown woman who taps her feet in unison with the impeccable clatter of Fred Astaire, though he's performing in black face: she embodies an idea of blackness, too. As does the politician biting back her parents' patois. And so on. What's more, the fraught idea of blackness that they, taken together, embody—so much less pure than that performed by the kankurang—approaches a truth as a limit, in the same way an agnostic who tries to meet God halfway once and then, from there, to meet God halfway again, and again, and again, will approach belief as a limit. Swing Time, then, cannot compromise on its characters because, if it did, its ideas would flatten them. The beings in this novel need to be beautifully jointed so that ideas can work on them like dance or atrophy, and they need to be strongly rendered so they can dent and coil the ideas they bear. And if an artist withholds the ink that would turn her characters over to us, incarnate? Well, perhaps it is because we need to grow into more honest company for them first. Jane Zwart teaches literature and writing at Calvin College and, with co-director Jennifer Holberg, leads the newly launched Calvin Center for Faith and Writing.